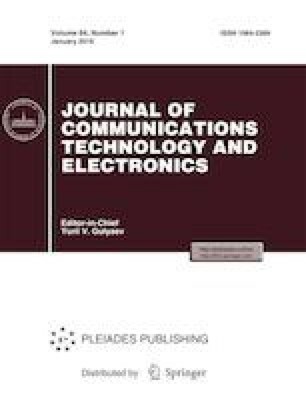 Numerical simulation and optimization of parameters of a linear and polygonal microstrip horn aimed at stabilization of the width of its directional pattern and the position of the phase center in an ultra-wide frequency band has been conducted using an approximate numerical–analytical theory and the finite element method. A stable width of the directional pattern and a stable position of the phase center have been obtained, in a frequency band of 1 : 2.5 for a linear horn and in a frequency band of 1 : 4 for a polygonal horn. This work was supported by the Russian Foundation for Basic Research, project no. 07-07797.